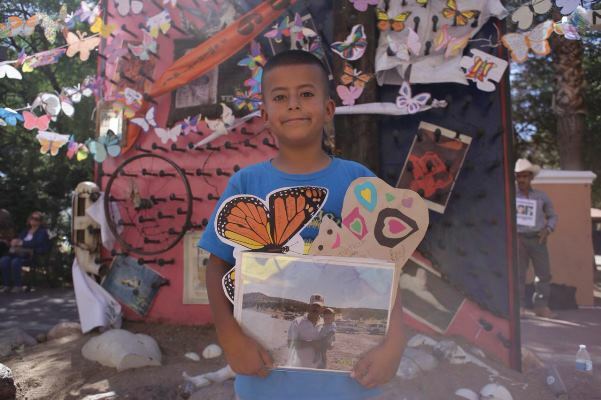 Families gathered at Chihuahua’s Cruz de Clavos, erected years ago to draw attention to the crisis of murdered and missing women in the northern parts of this state, close to the US border. The “Cross of Nails” has become a place of social justice, commemoration and calls to action. Under a sun-filled, blue sky this morning it was all of that and more. The Canadian butterflies were everywhere. Fluttering in the light breeze on ropes of joined-up solidarity. Sparkling with love on tree branches. Alighted with defiant determination on the very nails that make up the cross. We were here to send off the mothers, children and other family members embarking on a long road trip to Mexico City, where they will join hundreds of other Mexicans who are bound together, in the face of this country’s staggering crisis of disappearances, in their courageous quest and campaign for answers about the fate of their loved ones. Our Amnesty International delegation – from the 2 branches of Amnesty International Canada along with colleagues from Amnesty International Mexico, our regional office for the Americas and even from the local Amnesty group in Chihuahua itself – was here to convey one simple, yet profoundly powerful message: No Estan Solas. No Estan Solos. You are not alone. We shared those words during the moving ceremony at the Cross. 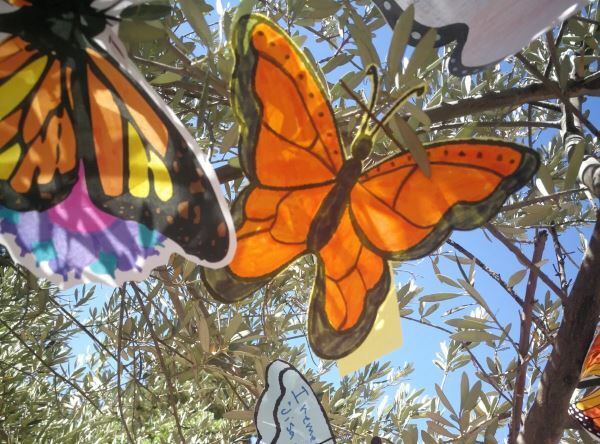 We shared those words, written on the wings of the butterflies that have now flown from the hands of concerned Canadians into the hands of family members who have often felt abandoned and forgotten by their own government. You are not alone. The statistics have become overwhelming. The official figure of the number of people disappeared is now more than 35,000; but everyone knows the true number is certainly higher. 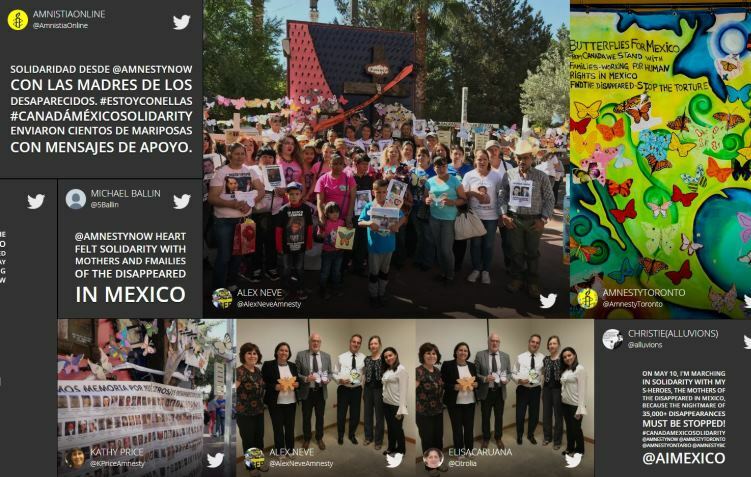 And the state of Chihuahua has been one of the hardest hit, yet one of the most overlooked in national and international media coverage and political attention. Which is why we knew we had to come here. 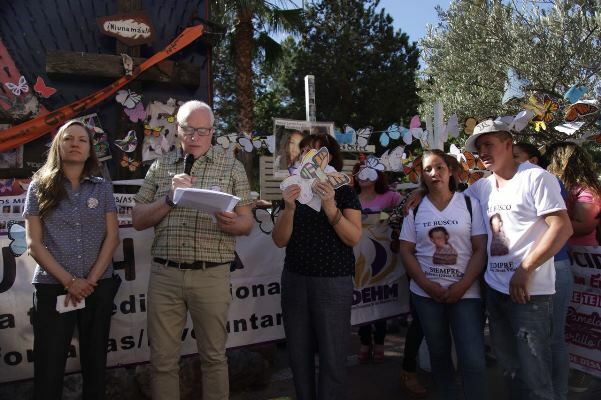 Today’s event was organized by a truly inspirational local organization that has taken the lead in supporting and accompanying families of the disappeared in struggles that have in many cases gone on for years, the Centro de Derechos Humanos de las Mujeres (the Women’s Human Rights Centre). Our gathering was covered extensively by local media. And it attracted the attention of state-level authorities. In fact our delegation was able to meet with one of the most senior Chihuahua officials responsible for addressing the disappearance crisis, the state’s Fiscal General. While he shared heartfelt words of concern, he also painted a picture of discord between federal and state governments, inadequate resources and a disappointing failure of leadership and political will. There is clearly much work and much struggle ahead. 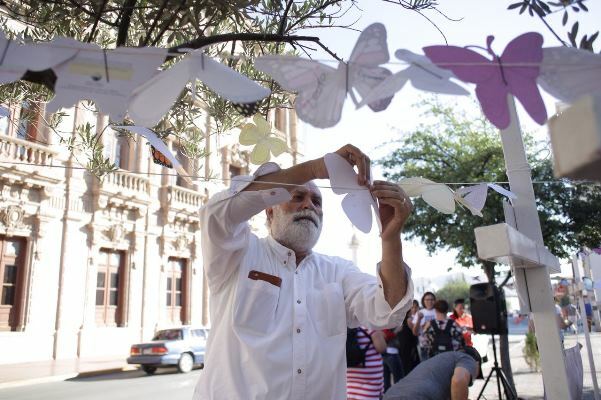 That is why, in our words at today’s event, we made a promise on behalf of all Canadians who sent butterflies to Mexico, that we would continue to be with families in this struggle until there is truth, justice and an end to the nightmare of disappearances. We read out some of the beautiful words of solidarity penned in communities large and small across Canada. 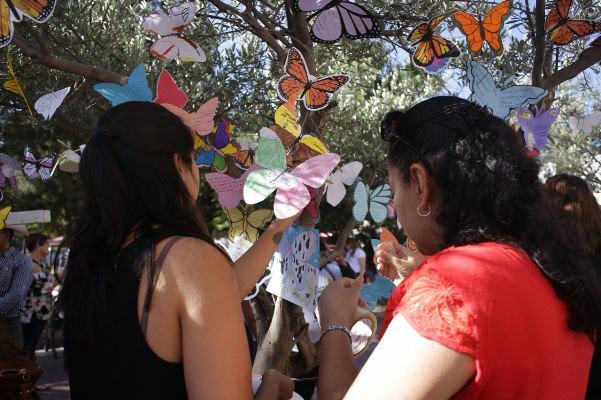 And then with a powerful sense of connection and common cause, we presented individual butterflies to each of the family members present today, who then held them close as they boarded the bus taking them to tomorrow’s solidarity march in Mexico City. Monarch butterflies have long connected Canada and Mexico, a connection that speaks of the beauty and wonder of nature. Today, amidst hugs, smiles and tears, they were the messengers of solidarity and hope across borders. 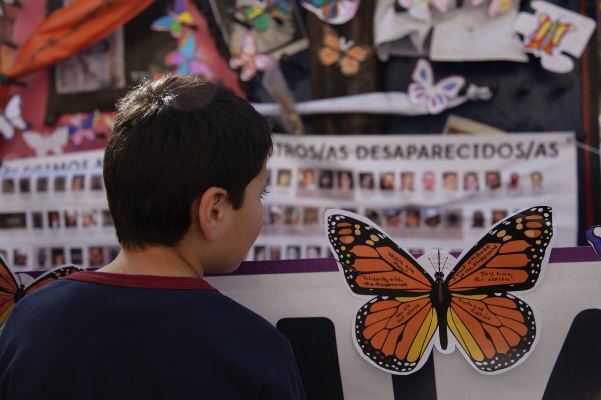 Urge Mexico to find the missing and stop the epidemic of killings and disappearances. Alex Neve has been the Secretary General at Amnesty International Canada since January 2000. He has participated in many Amnesty... continue reading Alex Neve's bio.